And Jenna Dewan showed if off on Saturday when she wore a pink dress with a red geometric pattern and plunging neckline at the Gold Meets Golden Party at The House On Sunset in Beverly Hills on Saturday. The 38-year-old professional dancer also flashed her legs in the beautiful garment that was split to above her knees. The event, which brings celebrities and sports stars together for charity at the beginning of the awards season, was co-hosted by Nicole Kidman and retired Romanian gold medal gymnast Nadia Comaneci. Nicole, 51, looked chic in a black Valentino jacket, a colorful blouse along with well ironed jeans and black Jimmy Choo shoes. The beautiful blonde carried a wine colored Moynat clutch. Nadia, 57, kept things simple in a white blouse with a tie neckline that she left loose, black skinny-leg pants and silver high-heeled sandals. The beautiful blonde was the first gymnast to be awarded a perfect score of 10 at the Olympic Games in 1976 when she was just 15, on her way to winning three gold medals in Montreal, Canada. She is now a joint citizen of the US and Romania. 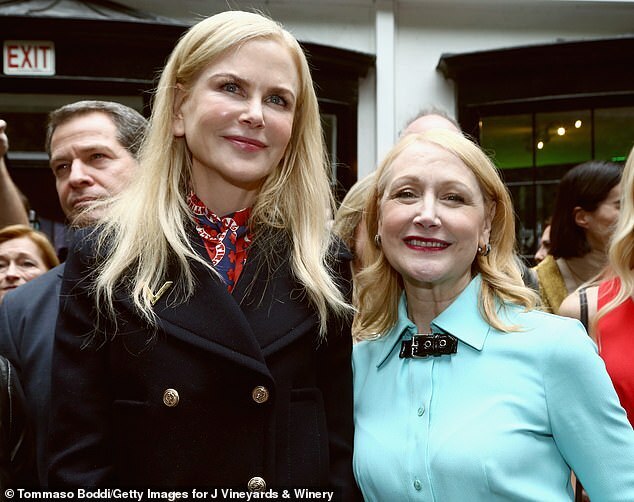 Other A-listers at the starry brunch included Amy Adams, 44, in a flowing white dress and her Sharp Objects co-star Patricia Clarkson, 59, in a Moschino aquamarine tea dress with a black belt. They were joined by Jessica Chastain, 41, in a knitted Burberry two-piece teamed with a leopard print skirt and black pumps. 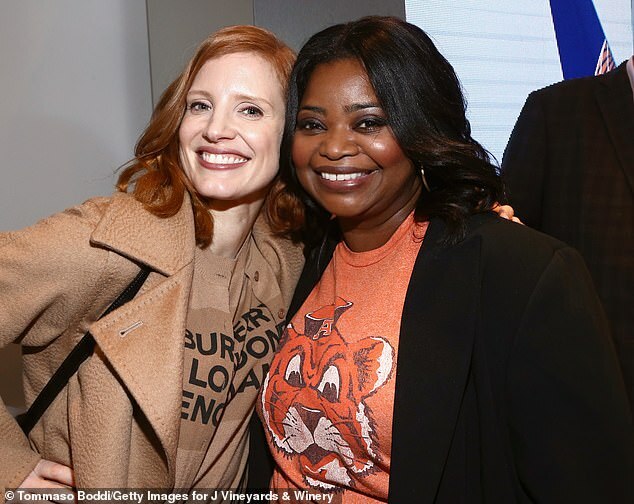 Other stars who stepped out for the event included Ricky Martin, 47; Octavia Spencer, 46; Chrissy Metz 38. and Alexis Knapp, 29. 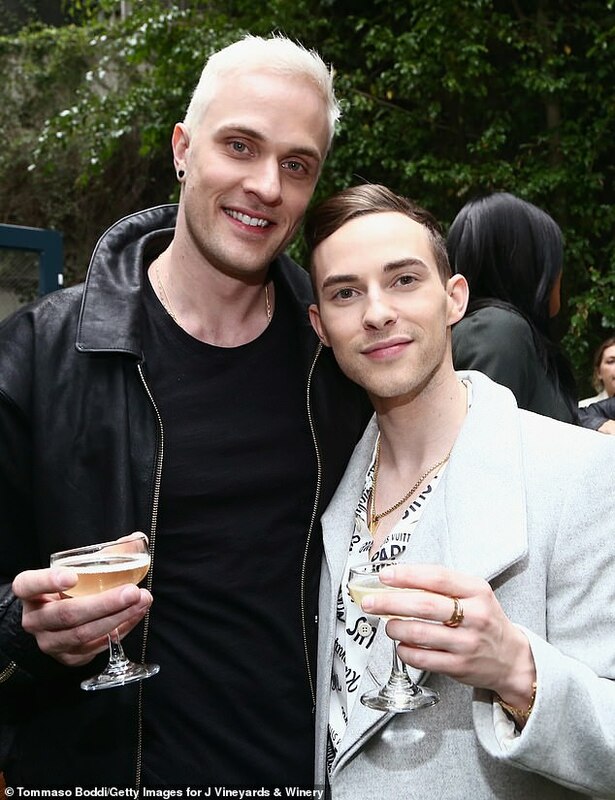 Olympic figure skater Adam Rippon, 29, and his squeeze Jussi-Pekka Kajaala, who hails from Finland. The Golden Globes take place at the Beverly Hilton Hotel in Beverly Hills on Sunday.